In a dolmen-like roof in the transition zone of the red circuit, 30m after the boulder of Le Dru, along the Southern path, 20m in front of red n°48. 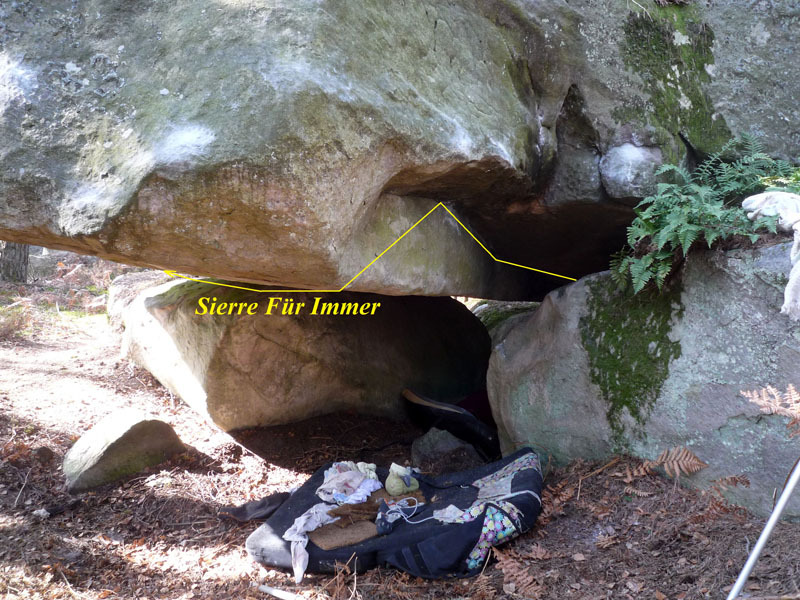 Low sitstart in the roof, traverse in the tunnel with a thin crack as for Le Tunnel de Sierre, downclimb at the last feet hooks, low traverse to the sitstart of Für Immer and exit by a mantle on the left side of the roof as for this latter. NB: this problem has been realized as an homage to the bus accident which made 28 victims (including 22 children) on the 13th of March 2012.